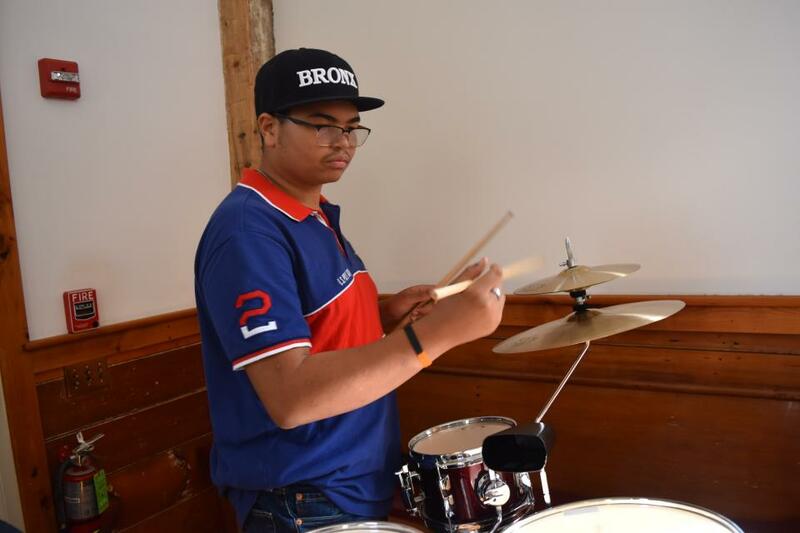 Child prodigy Hip-Hop Jazz percussionist and MC reflects on the first 7 years of his career and discusses how the cocktail kit drum opened a whole new realm of possibilities for this multi-talented performer. The ZYG 808 practicing on his cocktail kit. MASHPEE, Mass. - March 27, 2018 - PRLog -- The ZYG 808 got his first set of drums as a Kwanzaa present when he was age 4. "I used to play on my father's djembes and pound on his piano, so I guess he felt I was a natural." The drums were set up in a corner in his father's recording studio and The ZYG 808 would often play along while his father was working. "One day what I was playing must have sounded good because Pop set up mic on my drums and had me play it again." The five year-olds drumming was transformed into ambient percussion loops. By age 7, The ZYG 808 contributed percussion tracks to his father's album "The Liberation Sessions". When The GroovaLottos embarked on their Phunk Hits tour in the summer of 2017, The ZYG 808 was a full-fledged member of the band as a percussionist. Initially the band obtained a cocktail kit because of it's portability, but The ZYG 808 soon discovered it's uses in #RealBeatz hip-hop. "The cocktail kit has a fat tone like the TR-808 drum machine that folks use in rap music," explained the young percussionist. "It's also easier to breath, MC and drum since you play it standing up." The ZYG 808, who counts Questlove of The Roots, Rakim Allah and Jali-D as among the influences on his style is a leading figure in the #RealBeatz movement, a branch of Backpacker hip-hop that uses live instruments.